I don’t know about you, but at my house having at least one key lime pie a year is a must. 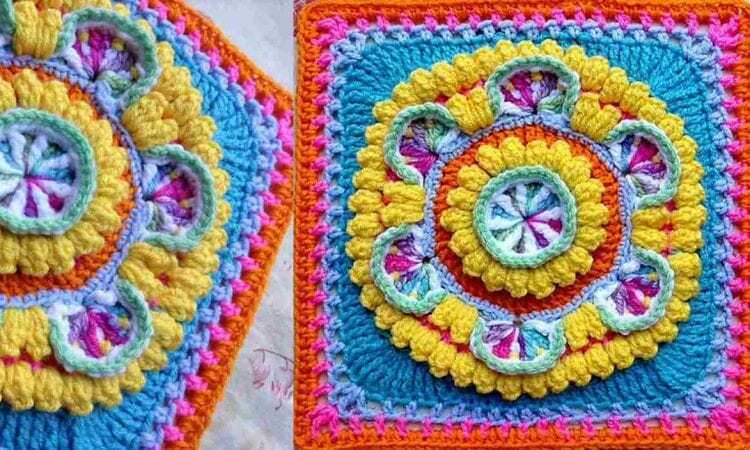 As many recipes for the pie as there are, there are that many ways of representing this pie as an afghan block. The pattern gives you the possibility to turn your favourite pie receipe into an almost 3D, mouthwatering-looking square! The square measures 12′ in worsted yarn, or 9.75” in DK. It’s absolutely calorie free! A link the free pattern is at the end of the post. Amazing pattern. Great way for scraps. Thank you.